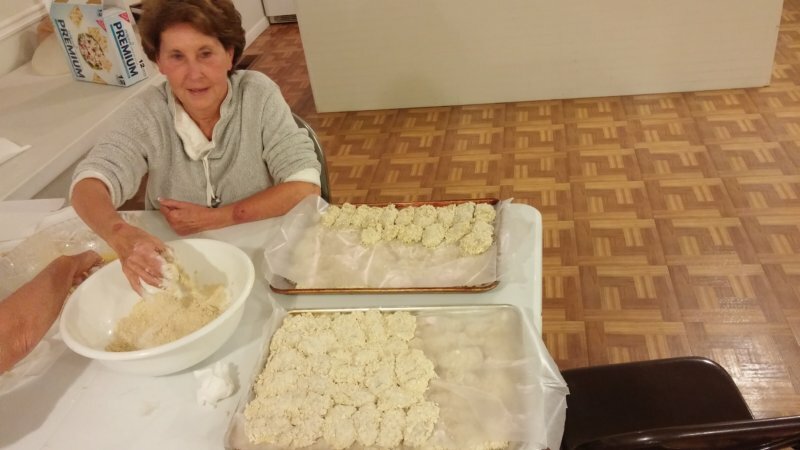 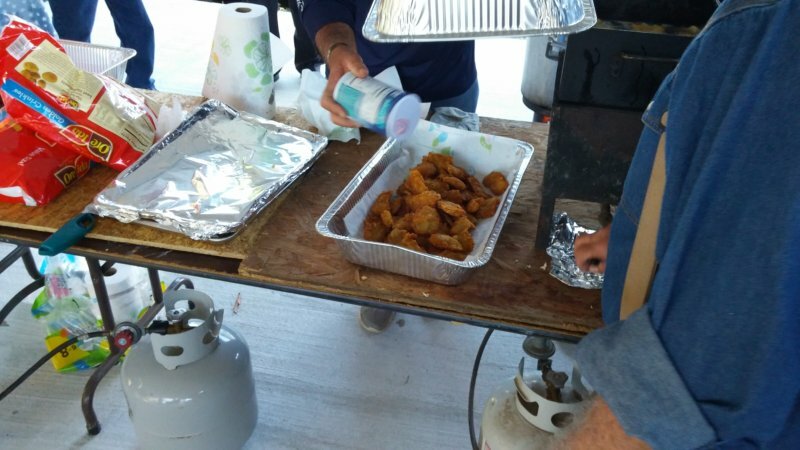 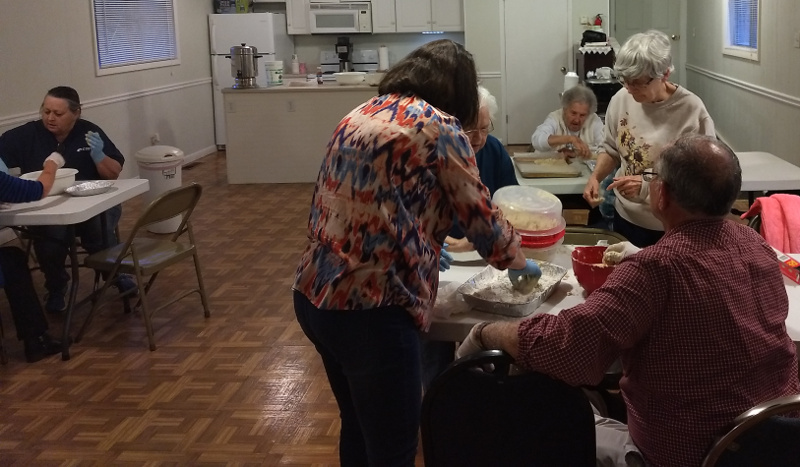 There was a good turn-out on Friday night to bread the oysters. 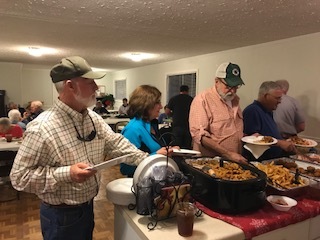 Plenty of food for all who attended. 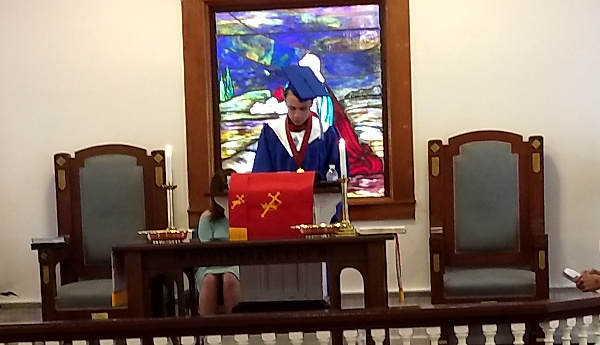 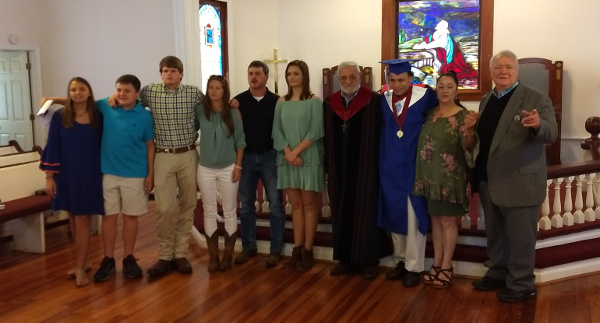 On Sunday May 20 2018 at 11:00 am the church service was a special celebration of the graduation from High School of Jason Vaughan and Aly Webb. 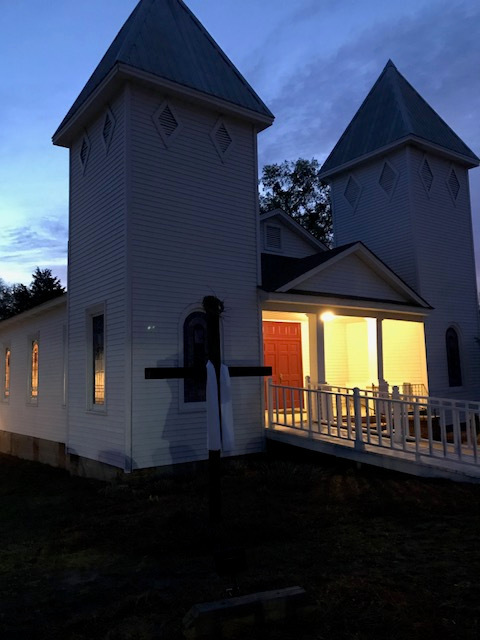 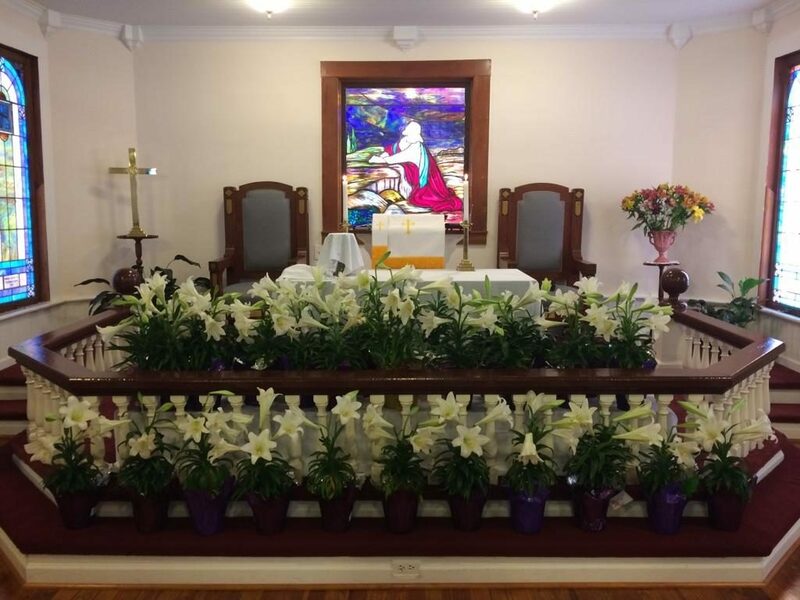 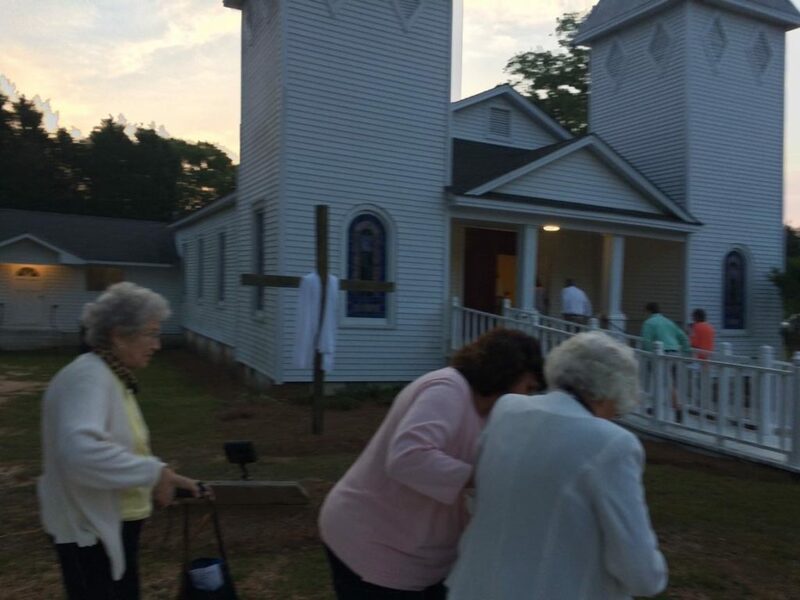 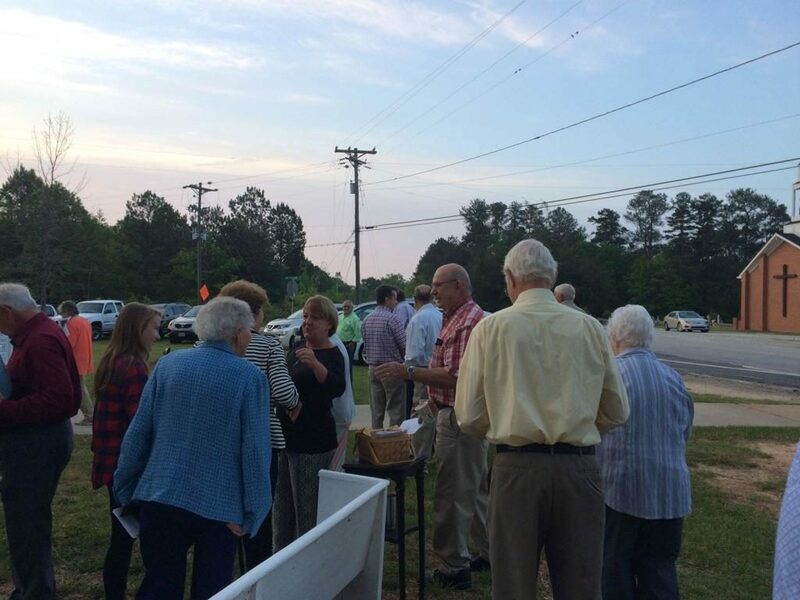 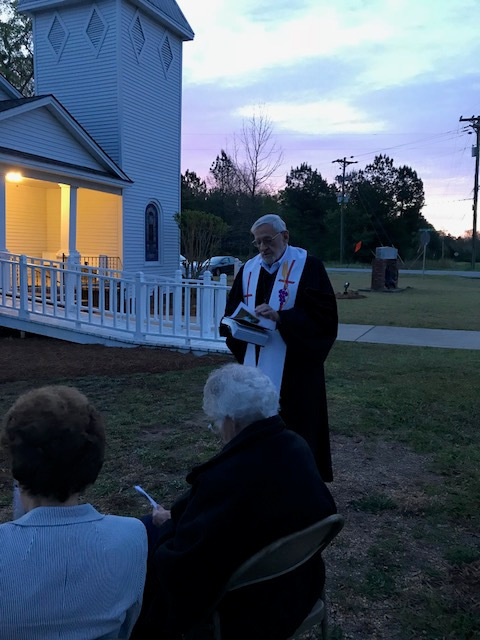 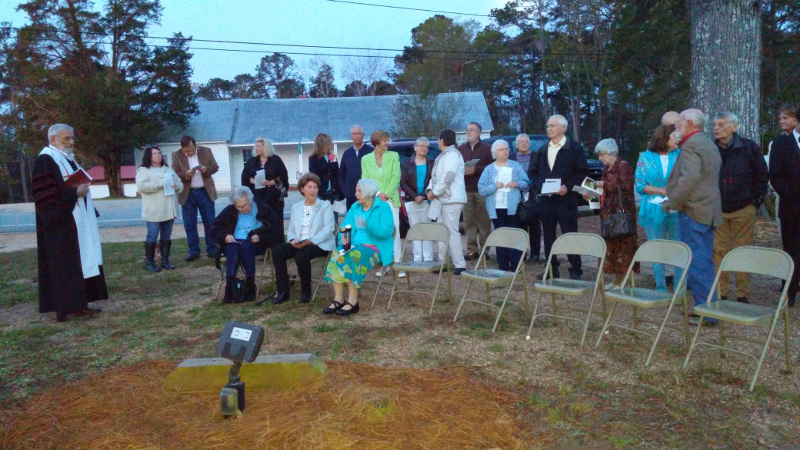 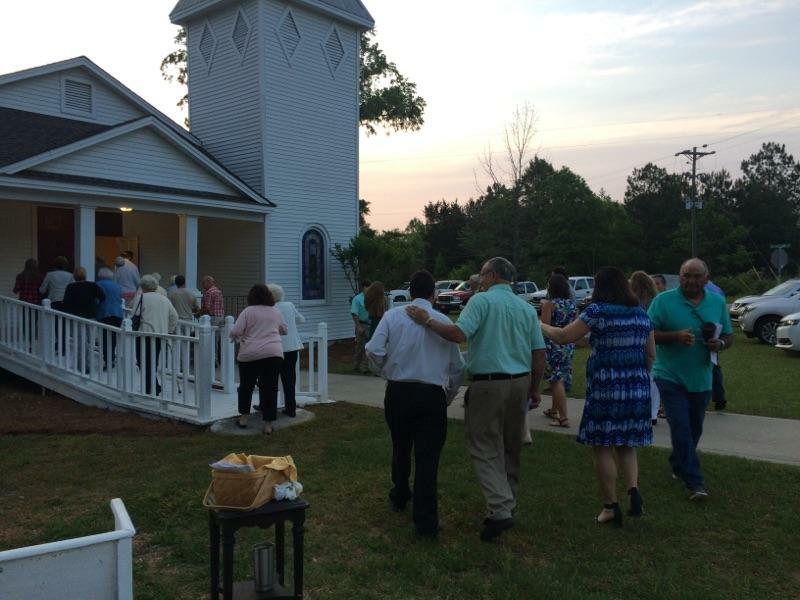 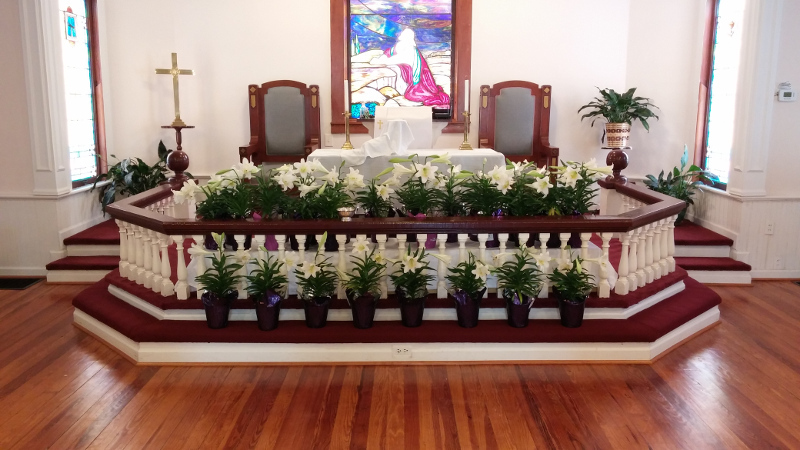 On Sunday April 1 2018 at 7:00 am the church congregation enjoyed their Annual Sunrise Service. 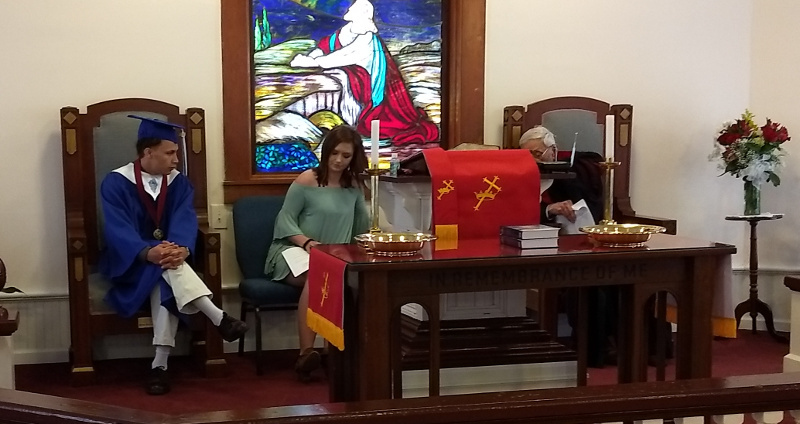 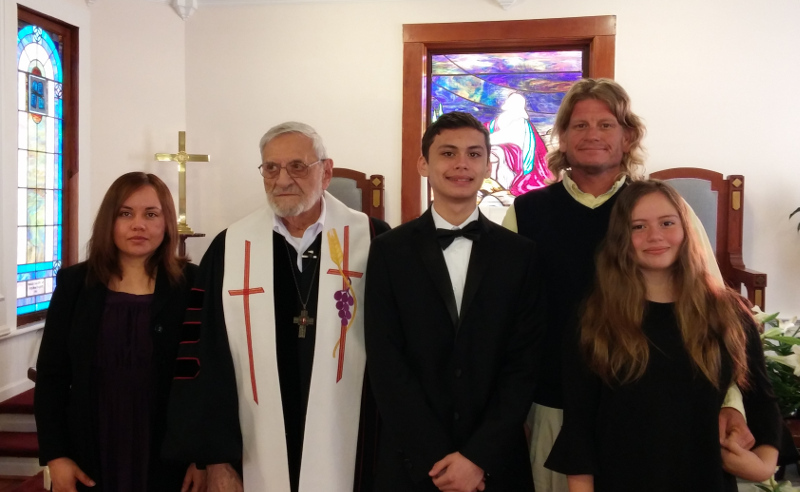 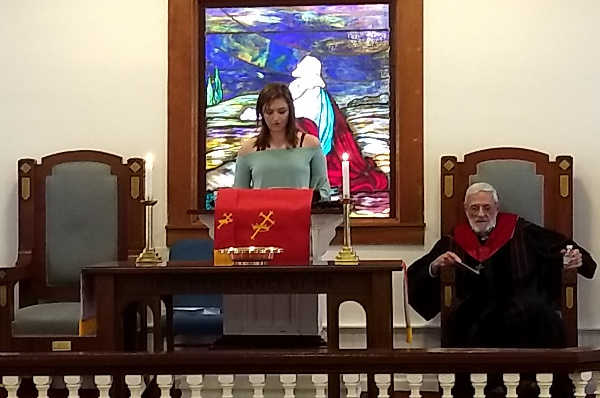 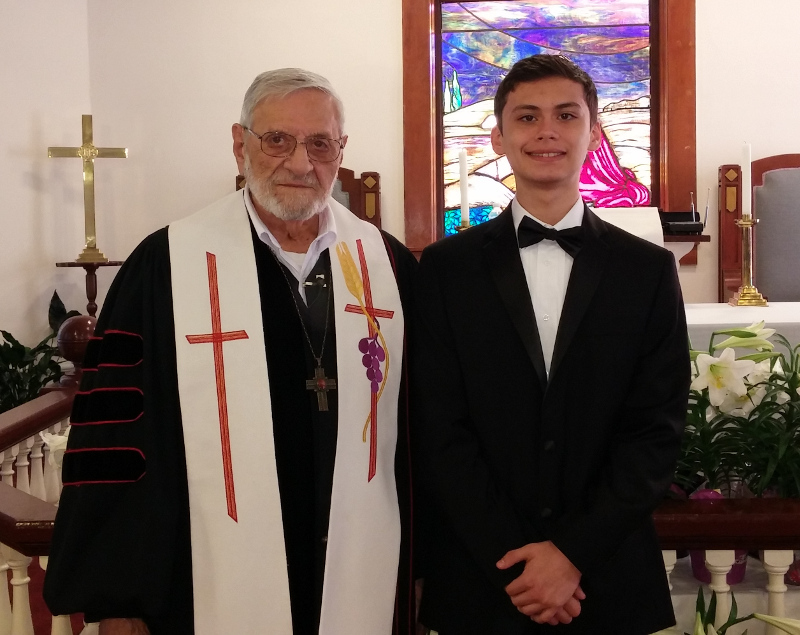 Easter Sunday April 1 2018 Emory Copelan was confirmed as a disciple of Jesus Christ and received as a professing member of Fork Chapel. 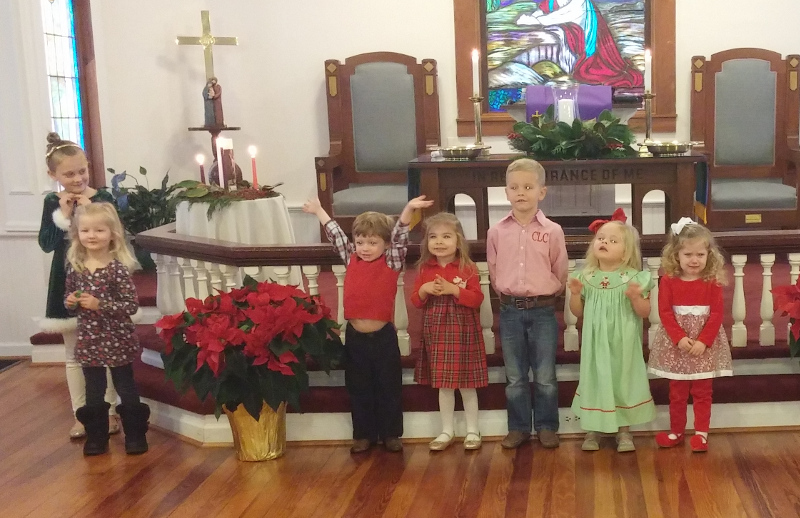 Sunday December 24 2017 at the morning service we enjoyed several Christmas carols sung by the pre-school choir directed by Zandy Cook. 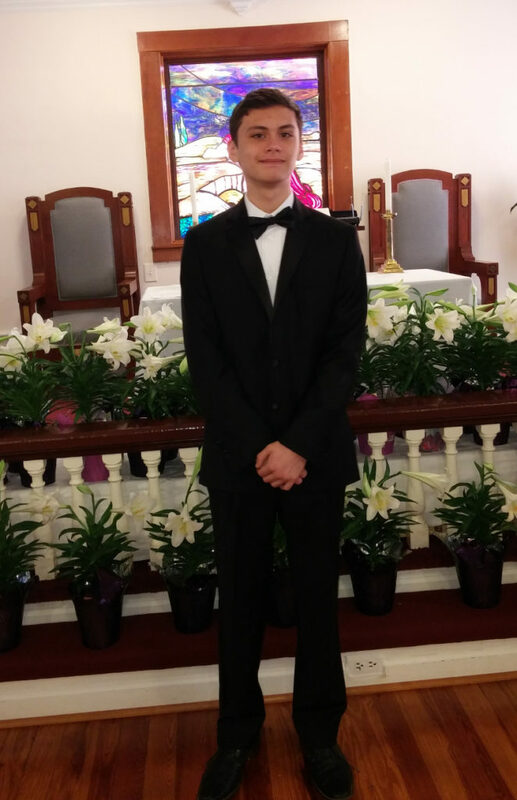 It was a truly joyful experience. 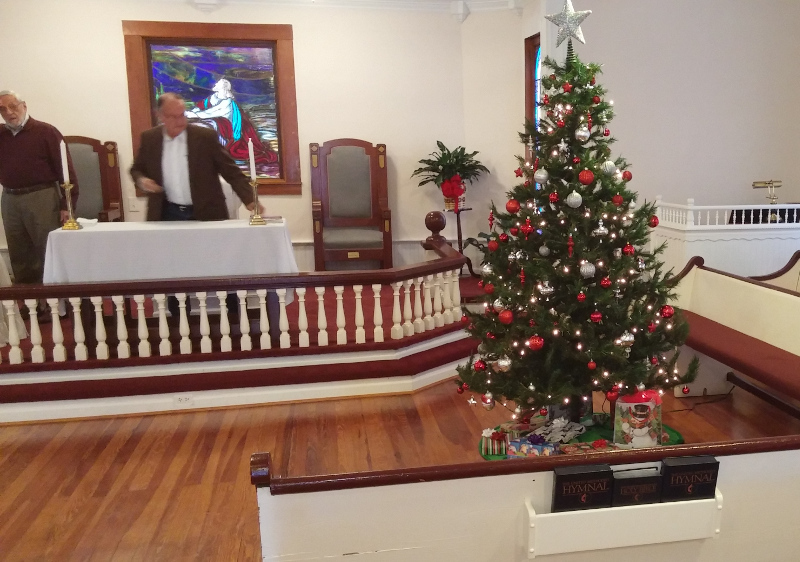 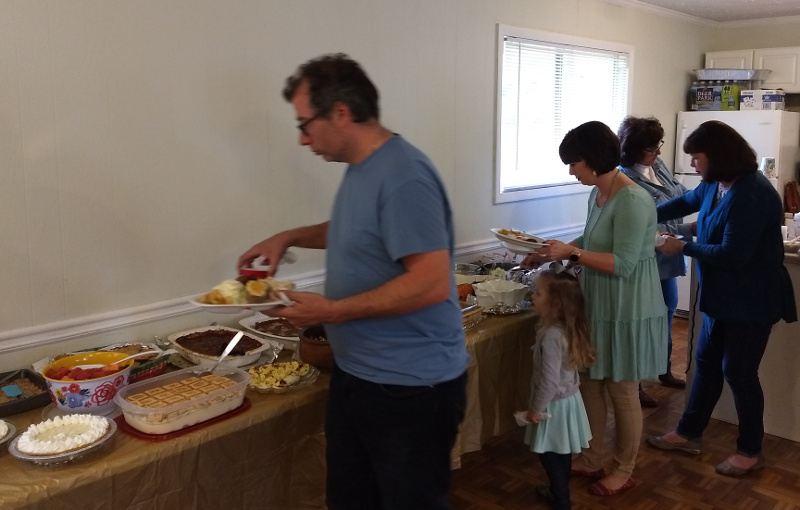 Sunday December 03 was our 2017 combined Thanksgiving and Christmas meal following the service and communion. 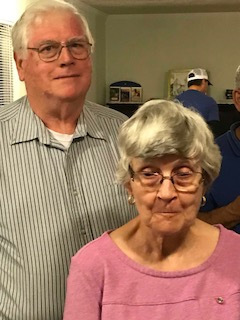 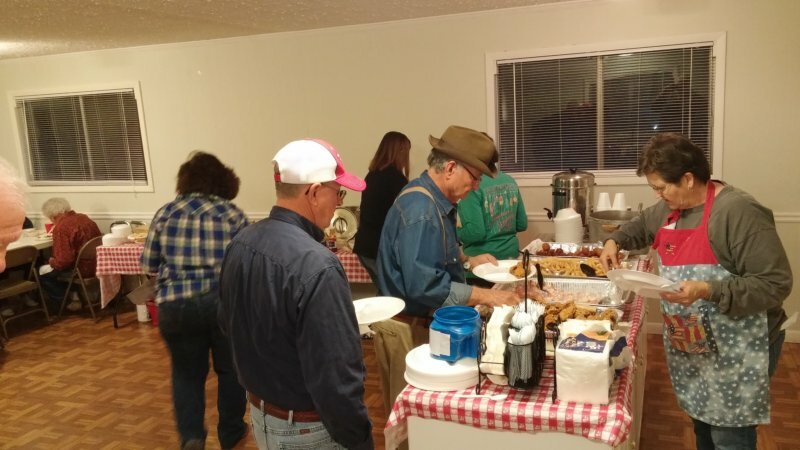 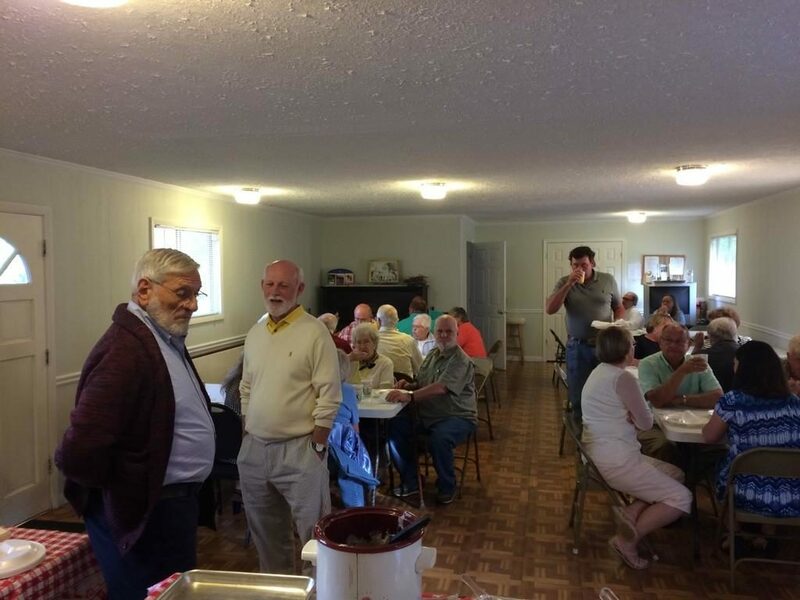 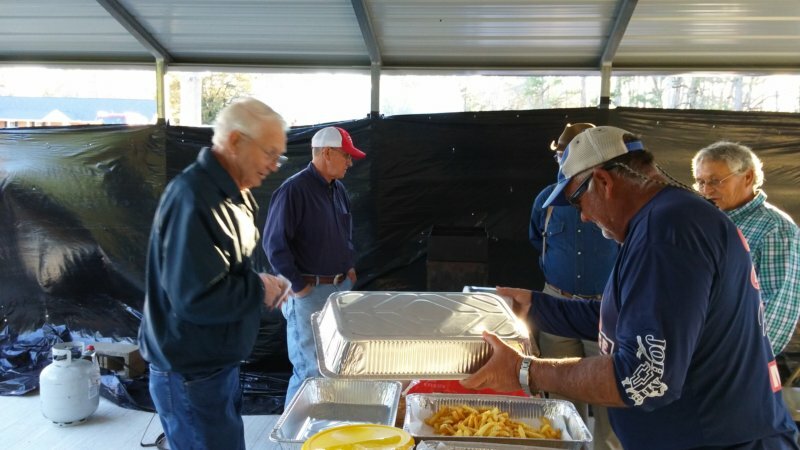 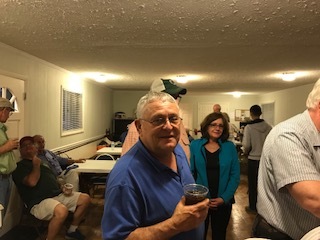 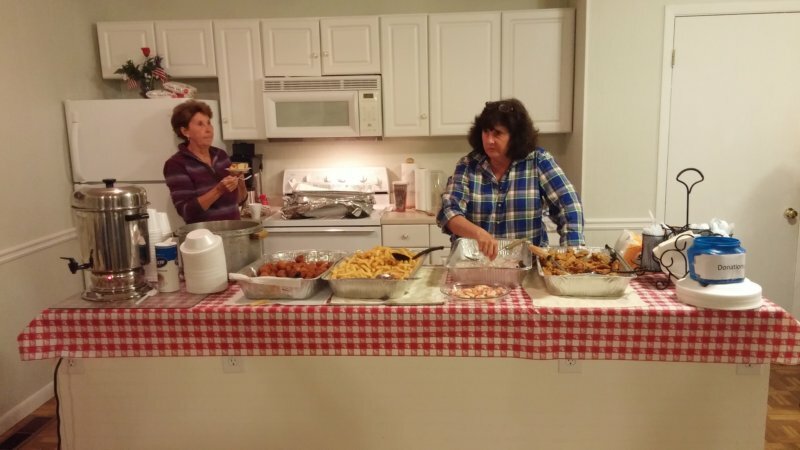 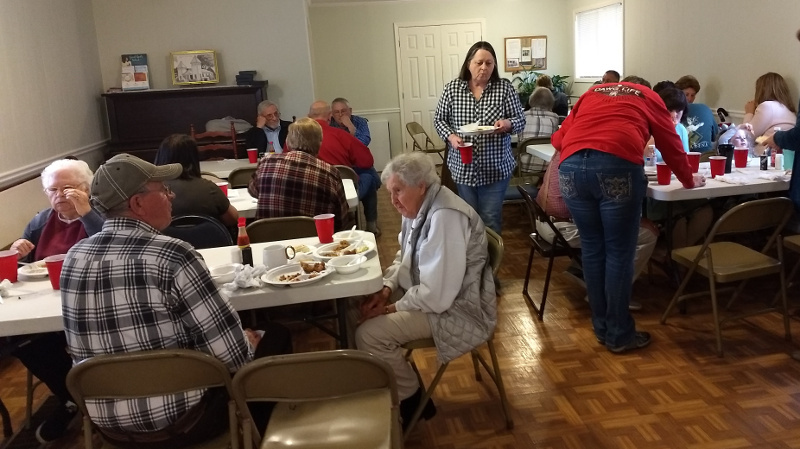 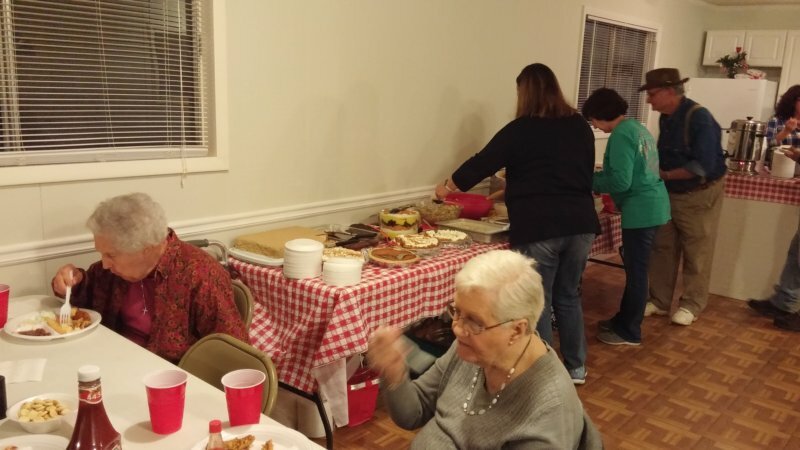 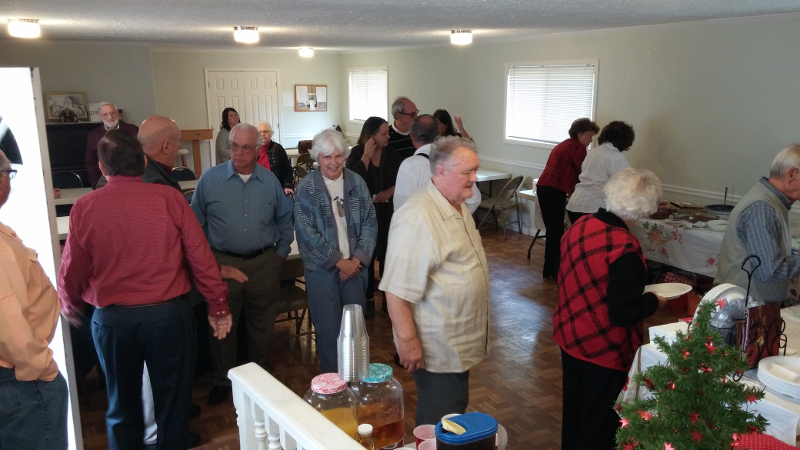 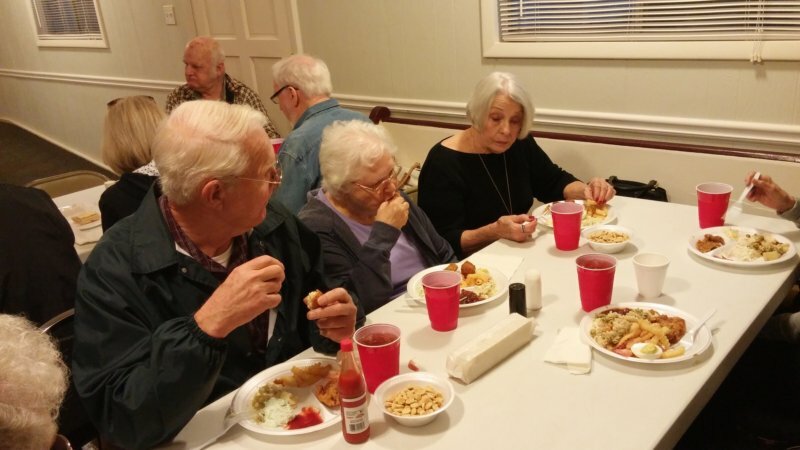 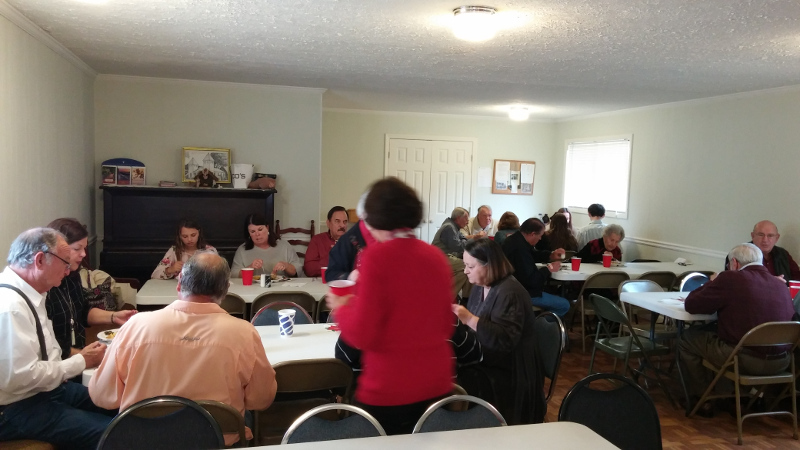 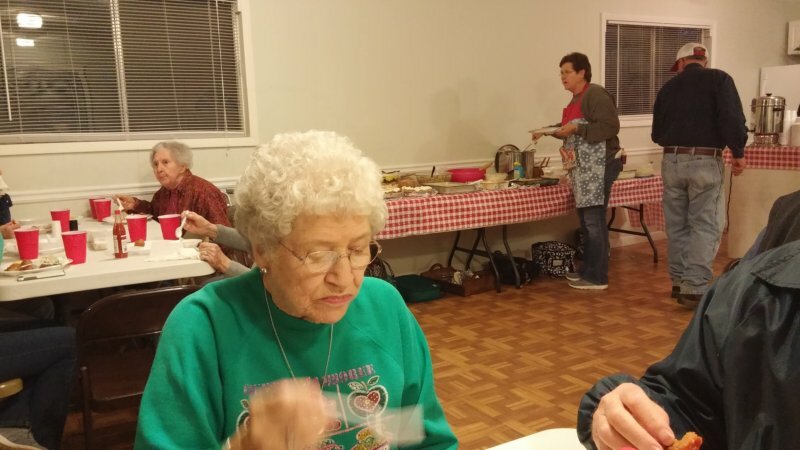 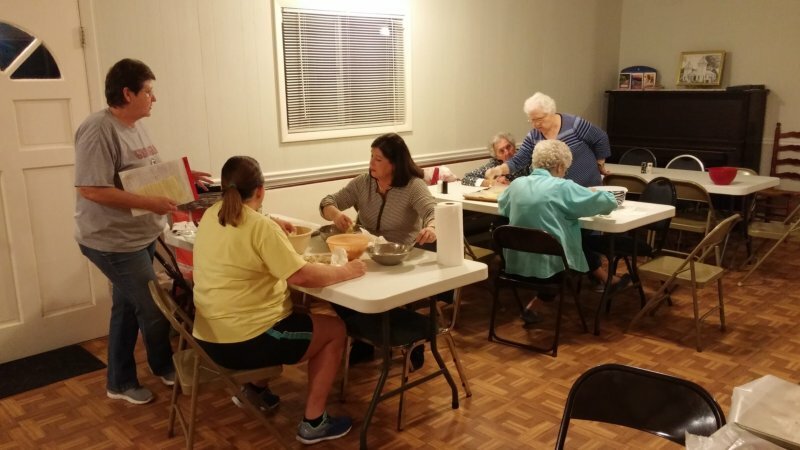 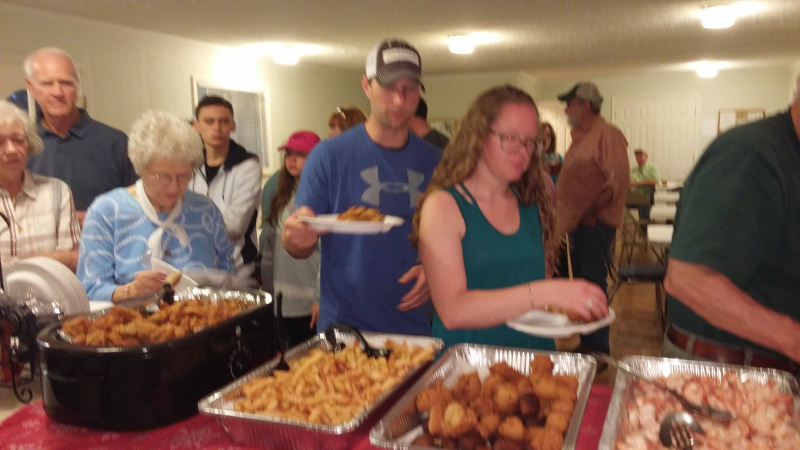 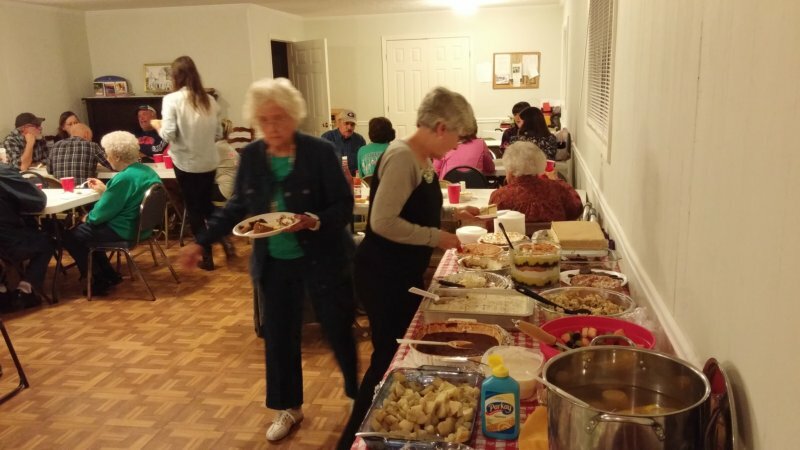 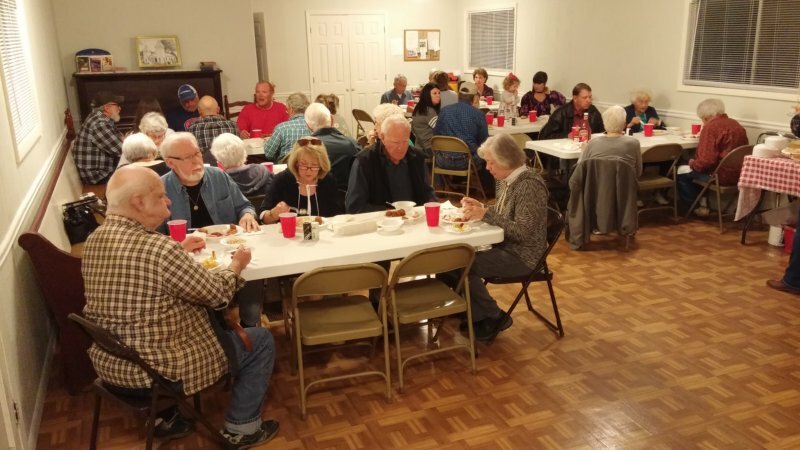 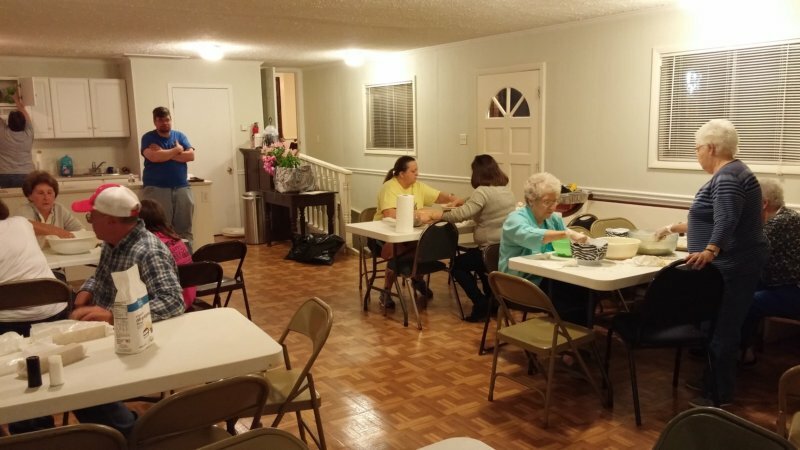 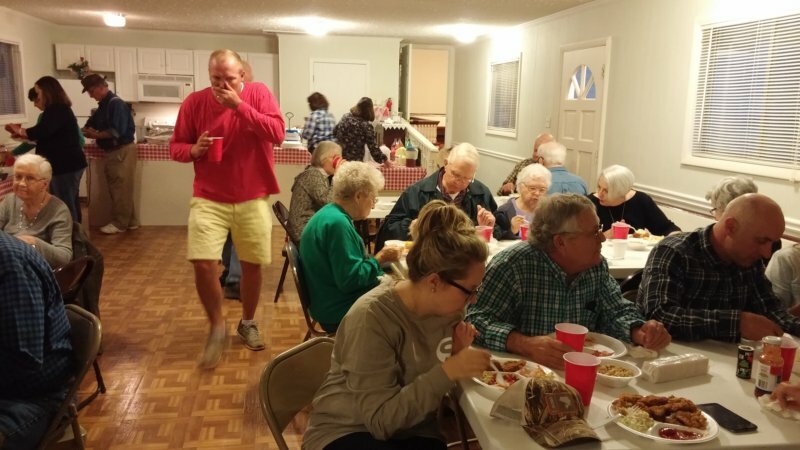 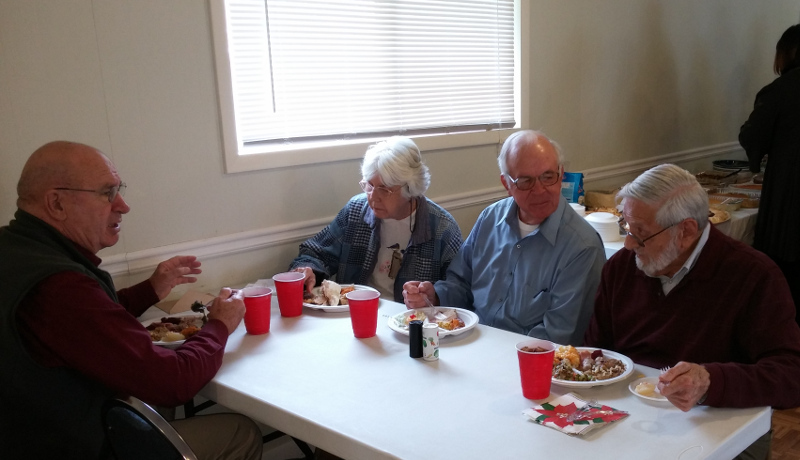 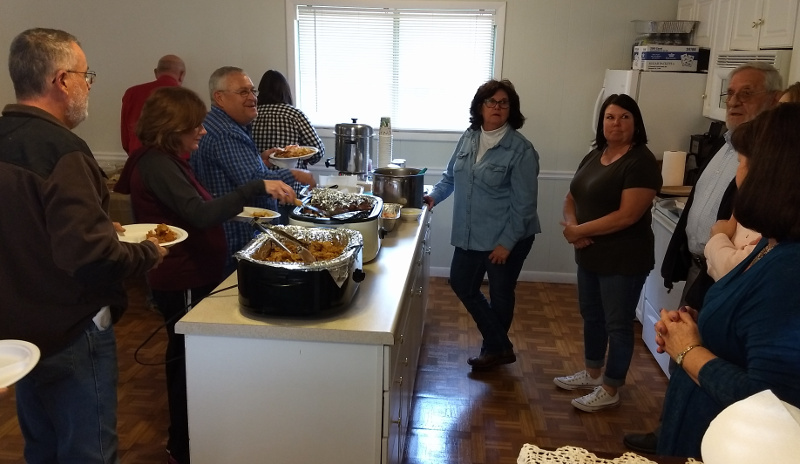 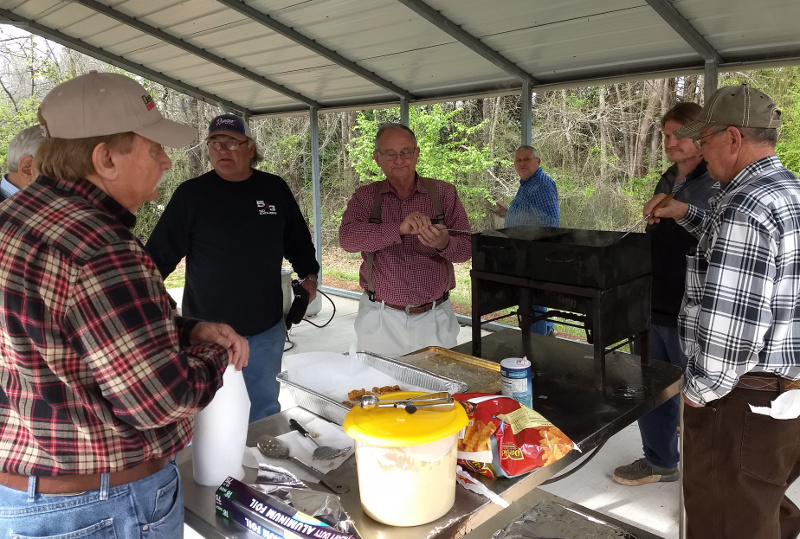 The following photos show everyone enjoying the food and fellowship. 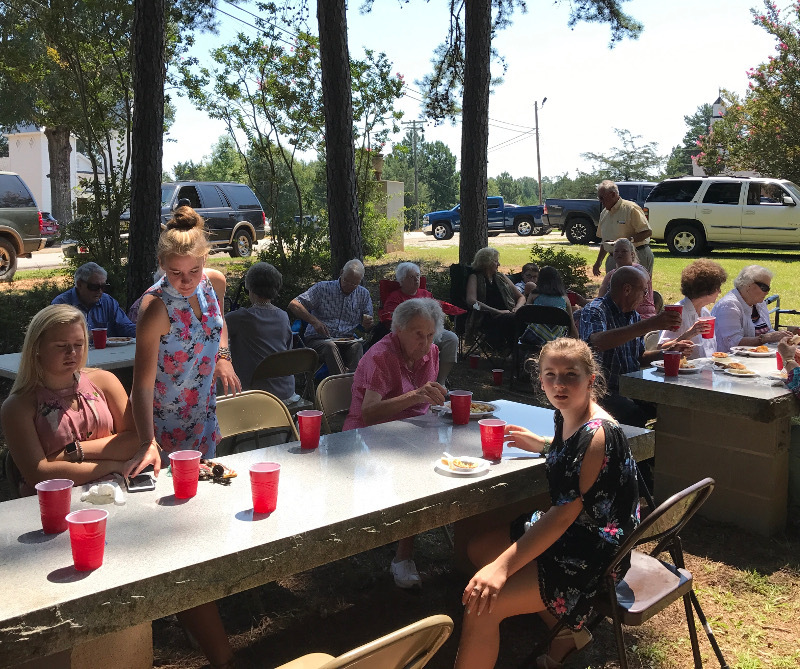 Sunday Aug 20 was our 2017 Homecoming service. 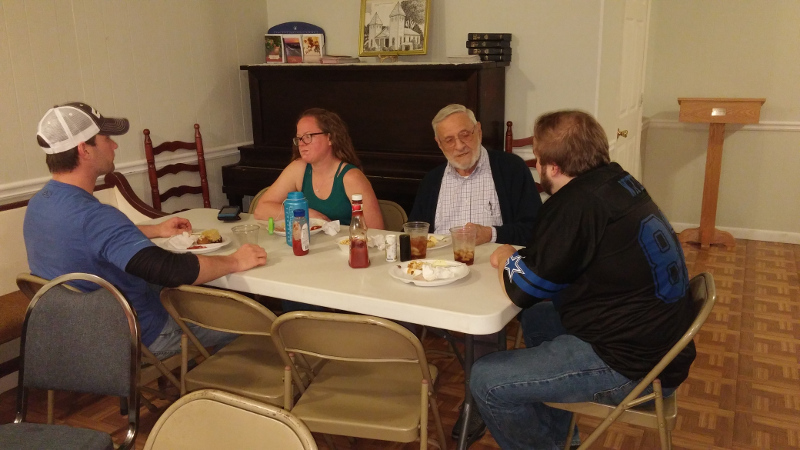 We had a meal following the service. 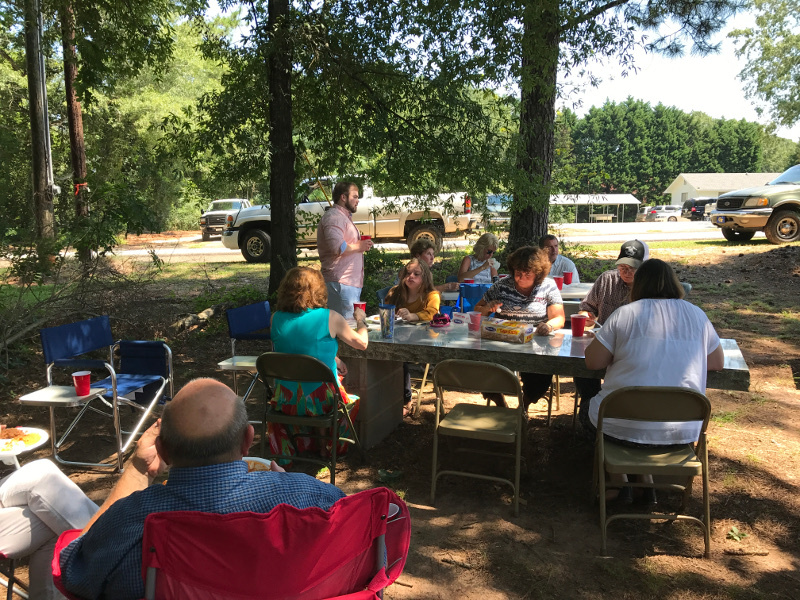 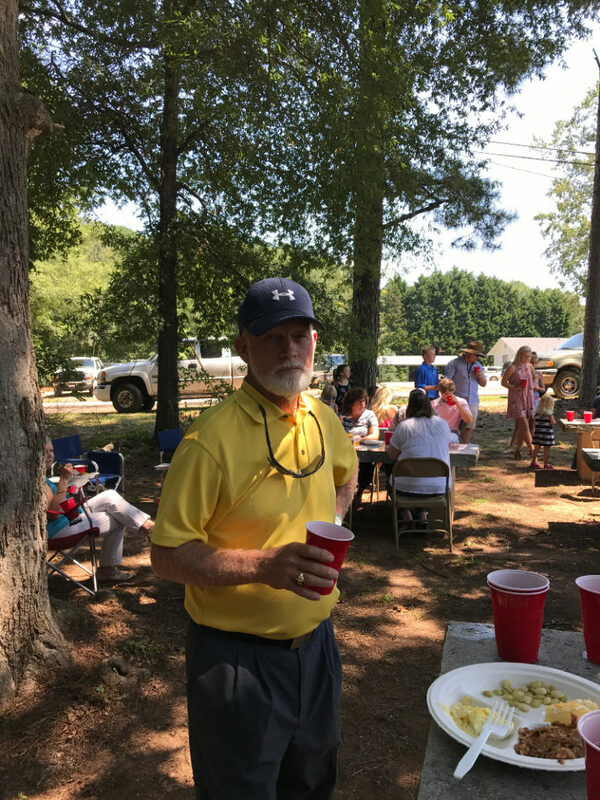 As you can see from the attached photo album, everyone attending enjoyed the weather, the food, and the fellowship. 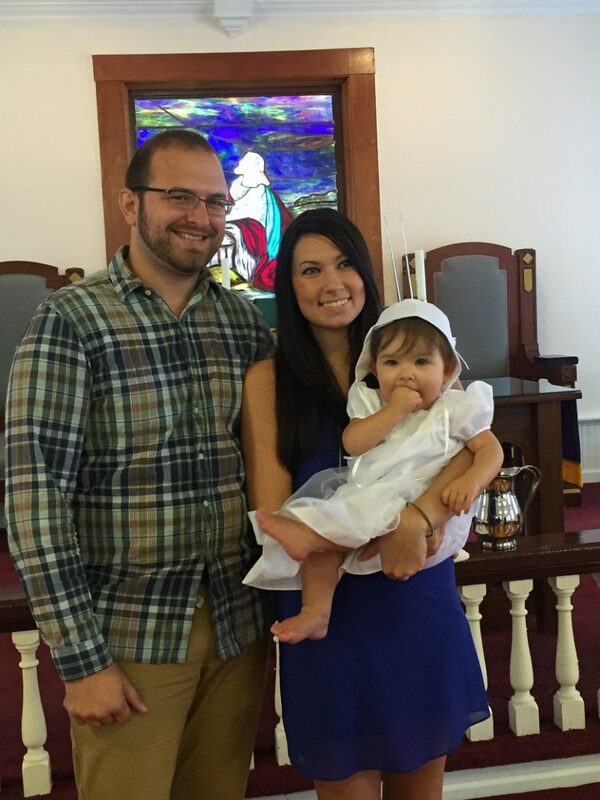 Zaylee is the daughter of Brittany Marguerite Cook and Brandon Michael Welch. 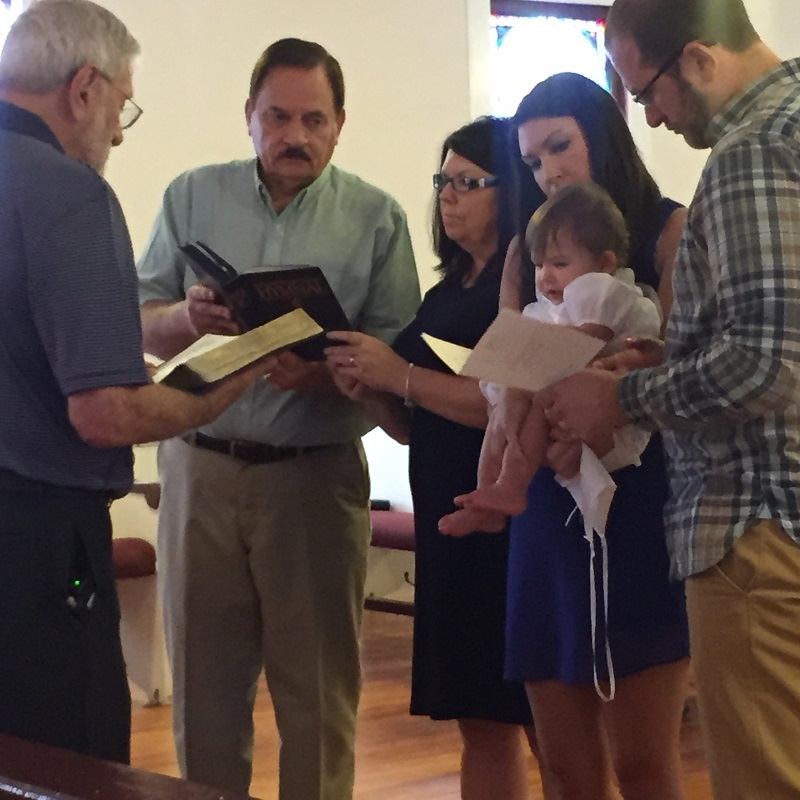 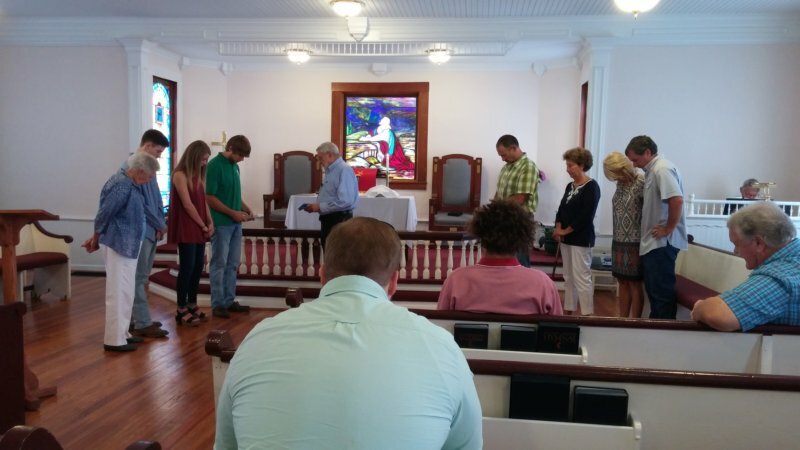 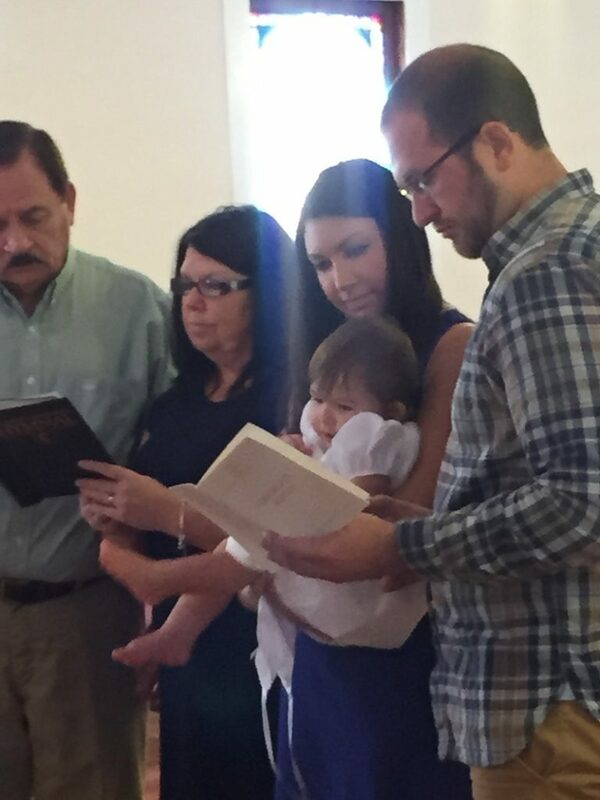 Zaylee was born on September 2, 2014 and was baptized at Fork Chapel on August 9, 2015.